Setting Goals for your Sales team will help them perform better and track their sales performance. Learn more about Goals. 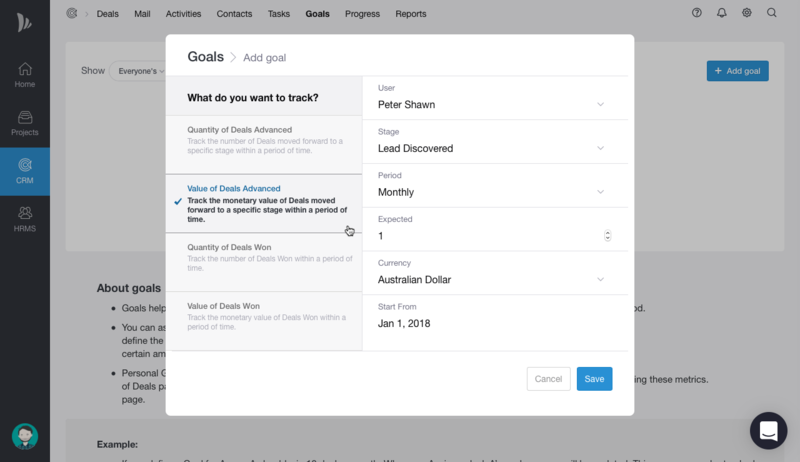 Only account owner and CRM Admin can add and assign Goals themselves and your Team members from Goals Tabs. 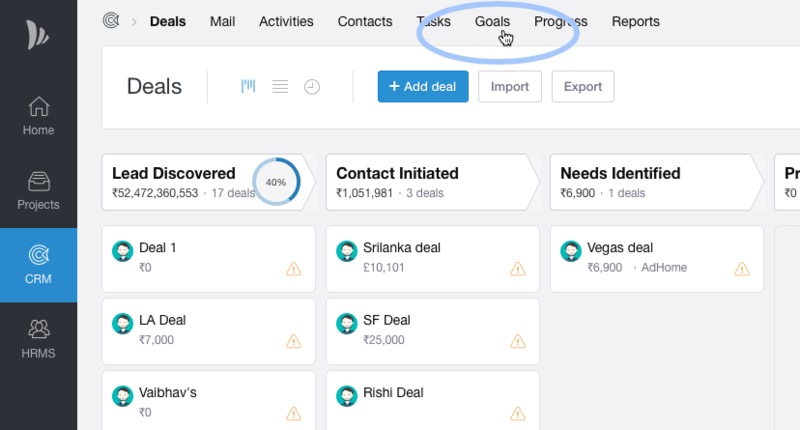 Team members will only have access to their Goals whereas CRM admins and Account owner can view every Goal in the Organisation. All the details of a Goal can be viewed from Goal details page by clicking on the Details in Goals tab. Only the account owner and CRM Admin can add Goals to their team.